Presidential Adviser on the Peace Process Carlito Galvez Jr. issued the statement yesterday, saying he is determined to solve political disputes with his experience in armed conflicts. MANILA, Philippines — Choose peace in trying to solve political disputes in the country. The former Armed Forces chief, who officially assumed as the new Presidential Adviser on the Peace Process on Dec. 20, said seeing a man dying is quite an experience. “Have you seen the tears of a dying man? I did many times… It is very painful. We cannot go back to war anymore,” Galvez said during the handover rites at the main office of the Office of Presidential Adviser on the Peace Process (OPAPP). “But let me tell you, having been in the military for decades made me see the ugly head of armed conflict. In my early days in the military service, I was wounded in a battle somewhere in the Davao area. That experience has made me choose the path of peace,” Galvez said. “There is no other person who can deal with peace than a person who faces war daily in his life as a military person,” Dureza said. Galvez, who assumed as the 11th Presidential Peace Adviser, is not the first retired general to lead OPAPP. 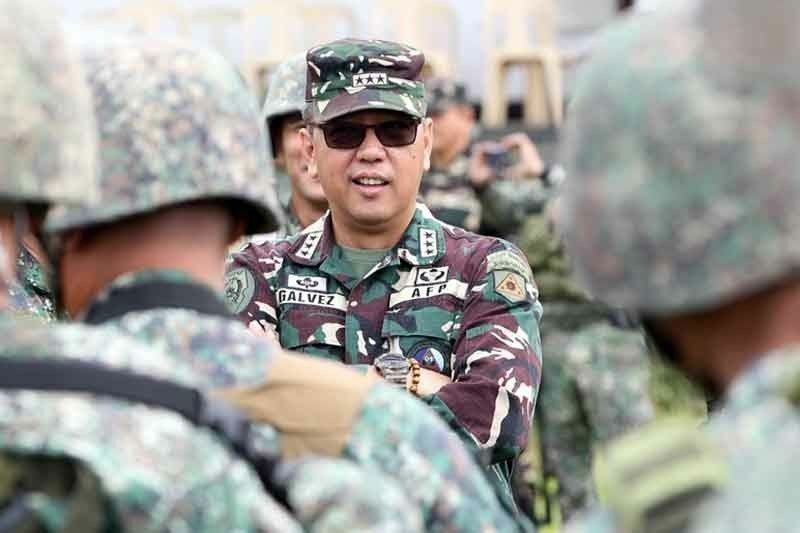 The first military man to assume the position of peace adviser was General Manuel Yan, who later became an ambassador. It was under Yan that the final peace agreement between the government and Moro National Liberation Front (MNLF) was signed. Other military men who had served as presidential peace adviser were Gen. Eduardo Ermita and Gen. Hermogenes Esperon Jr.
Gen. Avelino Razon, a former chief of police, was also named peace adviser. Other former top military men also served in the government peace panels in the peace negotiations. “We have the plebiscite in Mindanao to win. We have also President Duterte’s EO 70 to accomplish. And we have other equally important peace tables that we need to continue to engage with,” Galvez said.